THE Sikh Kingdom under the benevolent leadership of Maharaja Ranjit Singh (1780-1839) known as ‘Sarkar-e-Khalsa’ and the ‘Lion of the Punjab’ was considered a hegemony amongst all the Indian princely states that were under the jurisdiction of the East India Company in the early part of the 19th century. This was the golden era of the Punjab and its inhabitants, who stood firm against its powerful neighbour, British India, a secular and independent nation forming a buffer state against Russia, but wedged precariously between Afghanistan and China. 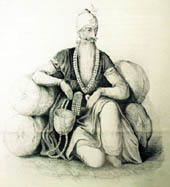 Its inhabitants were not just Punjabis but there was also a minority of Europeans, who had forsaken their homelands to seek their fortunes and to enhance their careers in the political milieu of Punjab — probably the only province in the early 19th century that still offered any scope of military employment to a select group of foreigners newly arrived on its doorstep. What compelled these Europeans or firangis — a term used by the local population — to drift towards Punjab and seek employment at the opulent Court of Lahore, when they knew well that they were looked upon suspiciously as subordinates by the Maharaja, his courtiers and the Sikh Army. These mercenaries, hailing from France, Spain, Hungary, Russia, Italy, Greece, and even from British India, were to play a fundamental role in the expansion of the Maharaja’s vast kingdom by overhauling and modernising the entire Khalsa Army, as it was known, to European standards. They stabilised far-flung provinces, and informed the local inhabitants and officials of their duty to serve the Maharaja and pledge their allegiance to him. 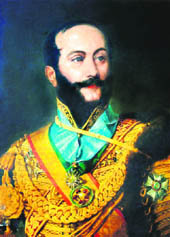 Most of the Europeans who were to have a major impact on the Maharajah’s regime were French and Italians, and they became the most influential and leading personalities at the Court of Lahore. They were the first to arrive on the scene, reaching Lahore in 1822, having traversed overland through Persia and Afghanistan. Initially, their reception in Lahore was hostile, but eventually the Maharaja offered them employment, under his customary stringent conditions, with the rank of Colonel, the highest rank in the Punjab Army at the time — despite the malicious gossip that was propagated on their arrival, and speculation that they were all British spies. At times, they were kept under surveillance by the watchful Lion of the Punjab, in the face of certain courtiers’ demands for their removal and deportation. Maharaja Ranjit Singh employed several efficient native soldiers, such as General Sham Singh Attariwala, General Hari Singh Nalwa, Dewan Mokham Chand and General IIahi Baksh. But in the early phase of his reign, he relied on the limited expertise of deserters or renegades from the army of the East India Company, who were allured into his service by higher wages and better opportunities. It was these first European mercenaries that were to play a pivotal role in the Maharaja’s administration over his vast expanding empire, and set the trend for the influx of even a greater number of Europeans arriving across the Anglo-Sikh frontier, much to the alarm of the British authorities. The influx of Europeans during the early part of the 19th century was a result of various factors, such as having heard from others tales of the legendary opulence of the Court of Lahore, and the recommendations of the likes of General Allard and General Ventura. Their brief return visits to their native countries in the 1830s were further enticement for numerous Europeans to descend on the Anglo-Sikh frontier. Not only did some Europeans carve out roles for themselves within the administration, the Lahore Durbar would potentially open up new avenues of power and, to a degree, wealth beyond their imagination. During the early part of the 19th century, a plethora of European travellers also traversed the Punjab en route to Russia and Afghanistan; men such as Victor Jacquemont, Joseph Wolff, Auguste Schoefft and Baron Karl Von Hugel, to mention a few. They all wrote vivid accounts of their peregrinations through the dominions of the Lion of the Punjab and compiled secret dossiers on their encounters with the Maharaja and his successors at the mighty Sikh Court. Most of the Europeans were employed in military, civil and administrative duties, for example, Governors of strategic provinces. 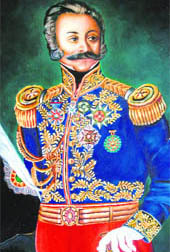 General Paolo Avitabile, for example, was the Civil Governor of Peshawar from 1838-1842, General Henry Charles van Cortlandt was designated Governor of Dera Ismail Khan and Dr Johann Martino Honigberger became the personal physician of the Sikh sovereign. There were also the customary visits of numerous influential dignitaries and emissaries to the Court of Lahore, such as Sir Claude Martine Wade, Lord Auckland, Lord William Bentinck and Sir Henry Fane, the commander of the British forces in India. From their positions as military advisers, these firangis became influential courtiers and bureaucrats, gained access to higher civil duties and were elevated to the highest ranks of the administration. They were entrusted with certain judicial functions, and discharged administrative responsibilities within large districts — although the autonomy they enjoyed was somewhat limited due to a tight control from Lahore. Yet, they married local women and adapted themselves to the etiquette and customs of their adopted country. In return for their cooperation with the Maharaja, they were offered largesse in the form of ornate residences, much to the dismay of local officials, who resented the Maharaja’s benign gestures toward the firangis. General Claude Auguste Court maintained a moderate residence in the precinct of the tomb of Nusrat Khan in Lahore — although no traces of it remain today. 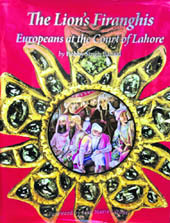 Excerpted with permission from The Lion’s Firanghis: The Europeans at the Court of Lahore by Bobby Singh Bansal. Corronet Publishing London. Pages 172.